The evil of political defections has been a matter of national concern. If it is not combated, it is likely to undermine the very foundations of our democracy and the principles which sustain it. With this object, an assurance was given in the Address by the President to Parliament that the Government intended to introduce in the current session of Parliament an anti-defection Bill. This Bill is meant for outlawing defection and fulfilling the above assurance. 2. 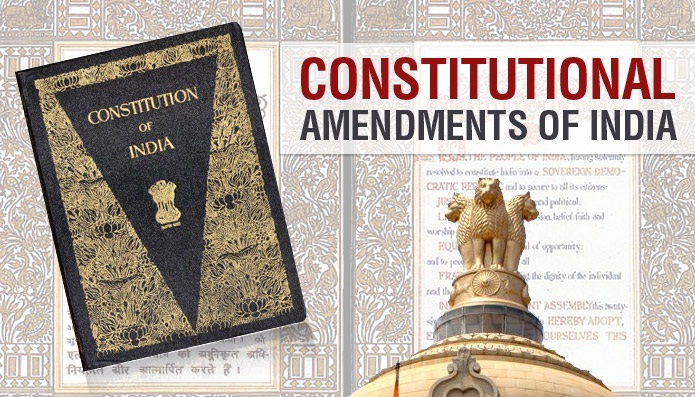 The Bill seeks to amend the Constitution to provide that an elected member of Parliament or a State Legislature, who has been elected as a candidate set up by a political party and a nominated member of Parliament or a State Legislature who is a member of a political party at the time he takes his seat or who becomes a member of a political party within six months after he takes his seat would be disqualified on the ground of defection if he voluntarily relinquishes his membership of such political party or votes or abstains from voting in such House contrary to any direction of such party or is expelled from such party. An independent member of Parliament or a State Legislature shall also be disqualified if he joins any political party after his election. A nominated member of Parliament or a State Legislature who is not a member of a political party at the time of his nomination and who has not become a member of any political party before the expiry of six months from the date on which he takes his seat shall be disqualified if he joins any political party after the expiry of the said period of six months. The Bill also makes suitable provisions with respect to splits in, and mergers of, political parties. A special provision has been included in the Bill to enable a person who has been elected as the presiding officer of a House to sever his connections with his political party. The question as to whether a member of a House of Parliament or State Legislature has become subject to the proposed disqualification will be determined by the presiding officer of the House; where the question is with reference to the presiding officer himself, it will be decided by a member of the House elected by the House in that behalf. 1. Short title and commencement.-(1) This Act may be called the Constitution (Fifty-second Amendment) Act, 1985. (2) It shall come into force on such date_671 as the Central Government may, by notification in the Official Gazette, appoint. 2. Amendment of article 101.-In article 101 of the Constitution, in sub-clause (a) of clause (3), for the words, brackets and figures "clause (1) of article 102", the words, brackets and figures "clause (1) or clause (2) of article 102" shall be substituted. "(2) A person shall be disqualified for being a member of either House of Parliament if he is so disqualified under the Tenth Schedule.". 4. Amendment of article 190.-In article 190 of the Constitution, in sub-clause (a) of clause (3), for the words, brackets and figures "clause (1) of article 191", the words, brackets and figures "clause (1) or clause (2) of article 191" shall be substituted. "(2) A person shall be disqualified for being a member of the Legislative Assembly or Legislative Council of a State if he is so disqualified under the Tenth Schedule.". (d) "paragraph" means a paragraph of this Schedule. (ii) in any other case, be deemed to be an elected member of the House who has been elected as such otherwise than as a candidate set up by any political party for the purposes of sub-paragraph (2) of this paragraph or, as the case may be, deemed to be a nominated member of the House for the purposes of sub-paragraph (3) of this paragraph. (b) from the time of such split, such faction shall be deemed to be the political party to which he belongs for the purposes of sub-paragraph (1) of paragraph 2 and to be his original political party for the purposes of this paragraph. and from the time of such merger, such other political party or new political party or group, as the case may be, shall be deemed to be the political party to which he belongs for the purposes of sub-paragraph (1) of paragraph 2 and to be his original political party for the purposes of this sub-paragraph. 7. 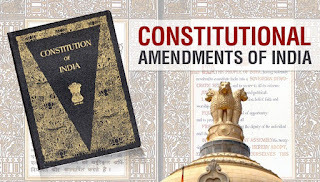 Bar of jurisdiction of courts.-Notwithstanding anything in this Constitution, no court shall have any jurisdiction in respect of any matter connected with the disqualification of a member of a House under this Schedule. (3) The Chairman or the Speaker of a House may, without prejudice to the provisions of article 105 or, as the case may be, article 194, and to any other power which he may have under this Constitution direct that any wilful contravention by any person of the rules made under this paragraph may be dealt with in the same manner as a breach of privilege of the House. '.